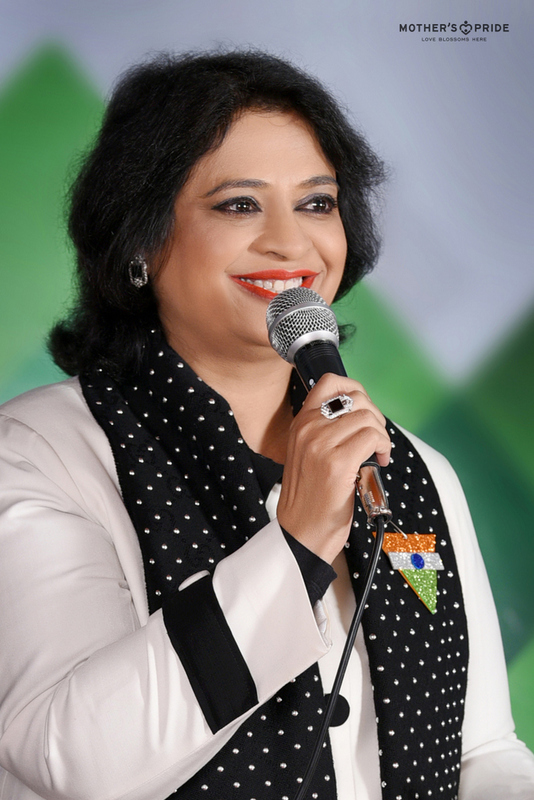 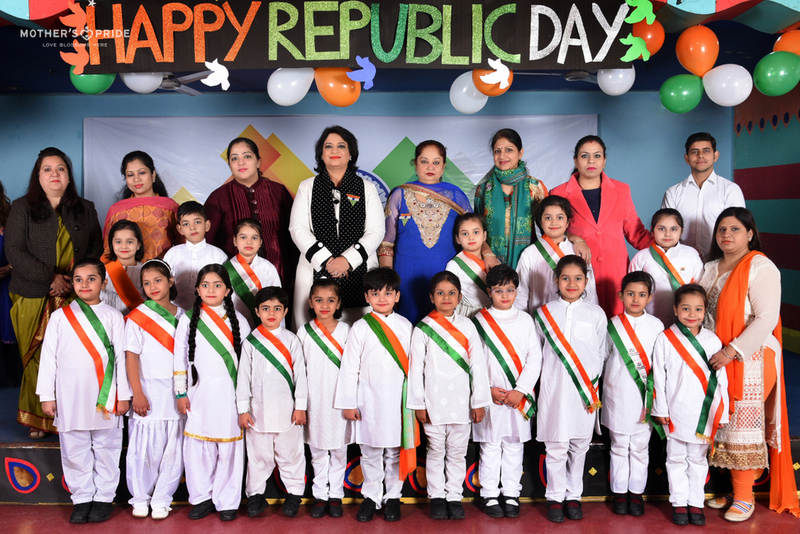 Hailing the glory of a wonderful nation, the young citizens of India celebrated the Republic Day with their dear Sudha Ma’am. 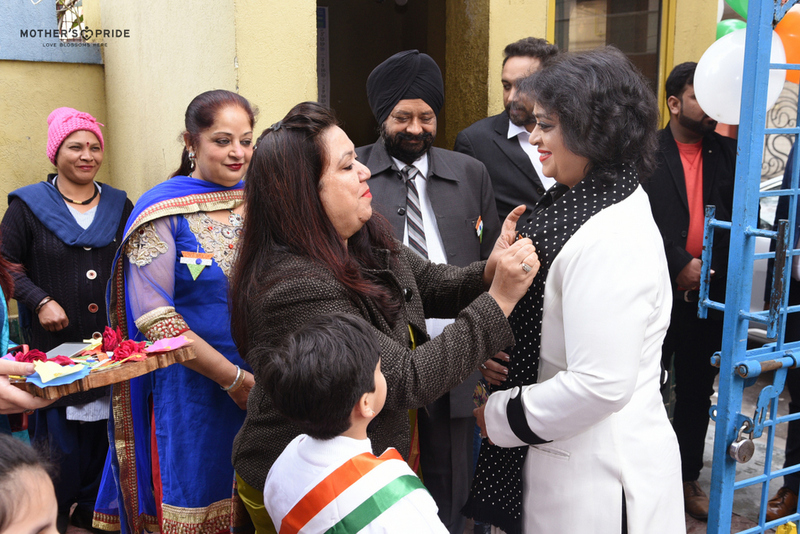 Prideens were excited to join Ma’am for the flag hoisting ceremony. 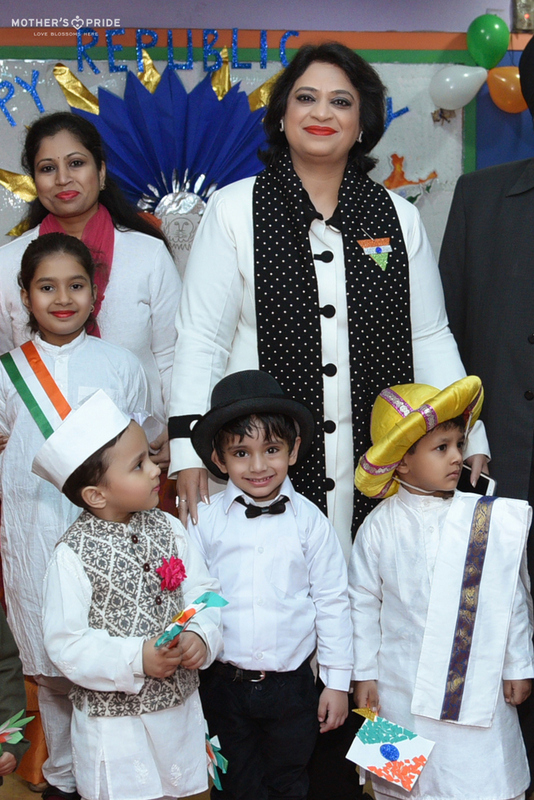 Holding tiny tricolours in their hands and dressed as national heroes, students wished Ma’am a very happy Republic Day. 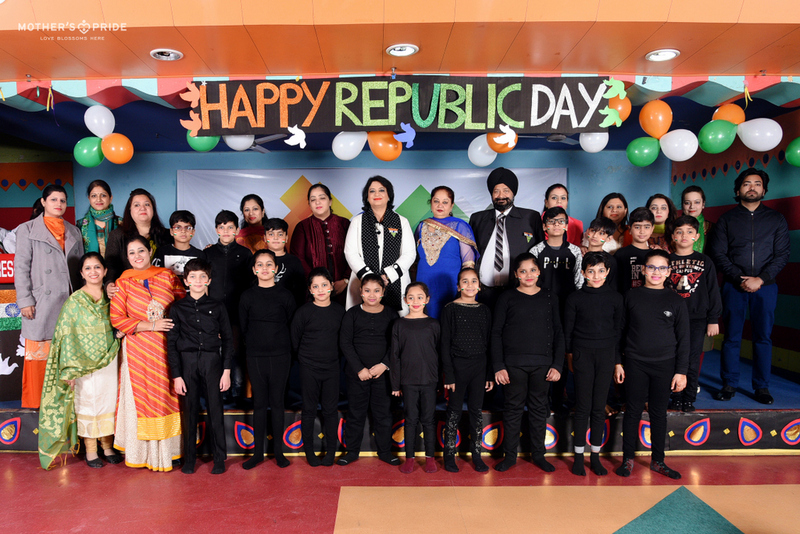 Ma’am warmly reciprocated to the wishes and told the teachers that the greatest gifts they can give these little children are the roots of responsibility & the wings of independence!